This weekend your tummy will be treated to the tastes of the Detroit Evolution Lab at the Detroit Urban Craft Fair. Care to learn some more? Maybe cook something delish, perhaps? Read on! What is the Detroit Evolution Lab? 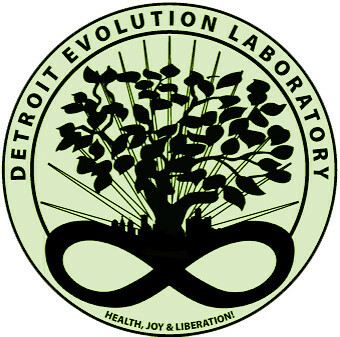 Detroit Evolution Laboratory promotes Active, Healthy and Sustainable Vegan and Raw Food Lifestyles in the city. 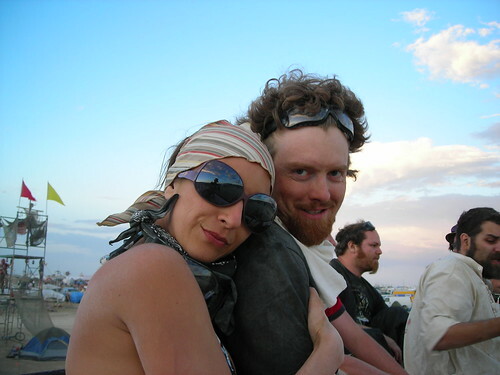 Angela Kasmala and Gregg Newsom, the husband and wife team who created the Lab in 2007, teach Vegan and Raw Food Classes and Yoga, and offer Bodywork, Nutritional Counseling and Sustainable Lifestyle Training. Featured in Hour Detroit Magazine, Model D, The Metrotimes, Fox 2 Sunday Morning, and awarded “best vegetarian” in WDIV’s 2008 4 the Best, Detroit Evolution Laboratory has been recognized as a community-based, healthy and incredibly tasty alternative for the people of Detroit. The “Lab” is located in Historic Eastern Market at 1434 Gratiot Ave #1 near the SE corner of Gratiot and Russell St. At this time, the Lab is open during classes or by appointment only. Please check the schedule at our web site. Why did you decide to start the Lab? Angela and I met when we were both at crossroads. We were coming to terms with the discrepancies between our studies in health, awareness, and spirituality and our own lives. I’ve been a passionate, almost martial, seeker of esoteric information all my life. When I entered my 30s, I elected to turn this gaze towards health and wellness. I studied and very quickly began to teach Myomassology (Massage Therapy) and redoubled my explorations of awareness through my practice of Ashtanga Yoga. As I began to cultivate wellness in myself, many conflicts between health and environment came into full view. Like so many others, I found myself unsatisfied in my relationships, my employment and with a culture that was actively promoting concepts that I knew were blocking my path towards wellness. For many of us this conflict manifests as physical and mental illness, addictions in many forms, and a non-sustainable materialism. Though it was one of the hardest things I have ever done, I found the fortitude to make a change. I left my corporate job, gave up a house in the suburbs and an unhealthy relationship, and dedicated my life to easing that conflict in myself and working to help others do the same. I was in the midst of this challenging transition when Angela and I met. Her path, though different, had led her to similar conclusions about health. As she shares in all her classes, Angela suffered from bulimia and debilitating depression for 10 years. Lack of fulfillment led her to extreme materialism as the cycle of distorted consuming and purging extended into every area of her life. In 2002 her father died suddenly from heart disease and her mother responded with a minor heart attack. The horror of western medicine and realization of the immediacy of life served to shift her awareness. Angela began an earnest quest to heal her mother and herself naturally. She took up employment at a local health food store and began her move towards vegetarianism. This led to the discovery of Raw Foods and, eventually, to our decision to become vegan. She also attended Schoolcraft’s Culinary Arts program but traditional theories on nutrition and standard food prep seemed to be in opposition with her mission. While studying at the Creative Heath Institute and rolling up her sleeves to learn through trial and error she discovered a talent that many now recognize and I’m blessed by every day. We worked together at Irene’s Myomassology Institute for a year before we became aware that our paths were one. I was in the staff kitchen cooking up an Indian Kitchari and Angela’s nose led her to discover my theories on food and spirit. We quickly realized the vitality of our communication and the fact that all aspects of our lives supported the other and fell madly in love. It may seem strange to share all this here but it is a HUGE part of our intention for “the Lab”. We want to share our talents and the info we’ve gathered on our path in a way that people can see what we are doing. People often question why we choose our moniker, and it’s simply to express that we’re experimenting in here and that health and wellness are a process rather than an end. The fact that positive relationships are out there, that people can change their health and their life in mid-stream, and that we can enjoy and relish in a sustainable lifestyle are a few of the discoveries we share. We also strive to share the fact that we still struggle and learn everyday. The ideas the Lab deals in; sustainability, health, spiritual development, urban agriculture, awareness, food security, community building, social and environmental justice for all beings, volunteer and trade-based economies, are all works in progress. We feel really blessed to have found in each other the impetus to pursue change in ourselves and the world around us. We’re doubly blessed that many people have found and genuinely appreciate our work. What kind of foods/products does the Lab offer? We promote a sustainable vegan lifestyle and our products and services represent varied aspects of that lifestyle. We currently offer vegan and raw food catering, like we are doing for DUCF this year. Angela shares her story and helps people integrate vegan and raw food into their diet through her kitchen classes. We also offer workshops and host community events. I’m particularly pleased with our yoga and pranayama classes and the dedicated community they’ve fostered. We are also slowly rolling out Angela’s line of Dressings and packaged foods. Our dedication to sustainability, which has a dynamic connection with the DIY ethic, means that we strive to grow our business without incurring large carbon or debt footprints. We are slow and calculated about our work to prevent the Lab from existing beyond its means. As the Lab itself evolves we will be bringing other aspects of our lifestyle to the people with even more offerings. We’re blessed to be six months pregnant and as we learn and grow through this incredible process it will certainly be reflected in the Lab’s products and services. In 2009 look for the Lab to explore the challenges presented to sustainability by childbirth and rearing. Babies seem to come with a great deal of superfluous “stuff” in our culture, and it appears majority of it is made in sweatshops overseas. The concept of Justice is the lifeblood of sustainability and we have a great deal of work ahead of us. We all do. What kind of reaction have you guys received so far from customers? I knew we had something special when we first opened up and everyone who ordered Angela’s food called us to thank us profusely. Like good news, Detroit is hungry for good healthy food, new ways of living and honest talk about where we are and about our incredible potential as individuals and as strong diverse communities. The positive reaction we’ve had from clients supports this, but its their heartfelt care, concern and even dedication to and for our work that keeps us going. We’ve encouraged our clients to get involved and take ownership of the Lab and many of them have stepped up. We have an all volunteer Development Team that keep us sane and are in the process of creating a large volunteer corps to assist our work and other groups in the city that need it. A great number of people have labored to assist us in getting to this point and we are so very thankful for them. Actually, it is this positive reaction that has caused us to put gratitude at the top of our to do list. We strive to express our thanks as much as we can and in that spirit we have to thank Handmade Detroit for inviting us to be a part of this awesome event. 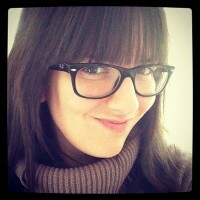 We also want to thank Amy Cronkite for connecting us to Handmade Detroit and all her hard work assisting us with this. We’re really excited for Saturday! How would you explain the difference between “vegetarian” and “vegan” to someone? Sometimes it seems that there are as many takes on vegetarianism as there are on yoga! Simply put, a “vegetarian” doesn’t consume meat of any kind, fowl and fish included. There are “lactos” and “ovos,” but this will do for our purposes here. Veganism takes this a step further by eliminating all animal byproducts as well. Admittedly, this takes out a lot of the fun stuff; milk, butter and my greatest challenge, behold the power of cheese! I was what I call a “cheesetarian” for years and if it we’re not for Angela dairy would still be a problem for me. It is challenging but I feel that it pays off as improvements to my awareness and health. What are some of the benefits of a vegan lifestyle? It is really hard to describe what we believe to be the potential of a sustainable vegan lifestyle. People approach veganism for many different reasons. The majority of vegans appear to be motivated by ethical concerns and devout compassion for animals. Recently, the movement has been bolstered by folks who have made the connection between global warming and diet. There are also people that focus on the health benefits of veganism. What we propose is that all of these aspects are intertwined and that making changes to our diet can effect change in the world around us. So we conceive the benefits to be far reaching. On an individual level the health benefits are amazing. Factory farms utterly distort their animals through the extreme use of pharmaceuticals. It’s not just the flesh that is chock full of these chemicals but all the byproducts. A vegan diet removes all this crap from our system and the clarity that many experience as they transition seems to express a connection. This being said there is a way to be unhealthy no matter your diet. While it is possible to eat a great deal of processed and junk food and be a vegan. We don’t judge people as we feel that our entire culture is in the middle of a transition and we are all at different places in that transition. Regardless of diet, real health benefit comes from also going organic and local, avoiding groceries with infinite lists of ingredients you can’t pronounce, and eating meals that are at least 50% raw, meaning uncooked, fruits, veggies or nuts. Personally, my traditional yoga practice requests a diet that causes no harm to any being. Looking at this on a subtle energetic level, I postulate all aspects of our experience are soulful or aware. The idea that we inhabit a reality whose building blocks are living and aware entities that are as vital as we perceive ourselves to be is challenging. By shifting our perspective and attempting to summon this perception of an interconnectedness between all things, it becomes quite easy to identify how our actions can either negate or inspire suffering. This goes beyond our diet into every aspect of our lives. If we look at veganism as an attempt to cease suffering in the world we must look at the very active human slave market, child labor, racism, and the financial exploitation of an entire nation by government, bank and corporate greed. Attempting to become aware of our participation in this suffering and reduce it even slightly takes courage and resilience. Assisting folks in this process is one of the greatest of our intentions for the Lab. What kind of products will you be offering at the 2008 DUCF? Angela just put the final touches on the menu and we’re pleased to share it here. Please plan lunch into your budget and help to support our work in Detroit. We’re also going to offer Combo Deals. Your choice of 1 Main and 1 Side for $8 OR your choice of 1 Main, 1 Side and 1 Dessert for $10. The $10 combo comes with our first ever swag, a Detroit Evolution Laboratory button! You can get extras to send to your friends in Portland for a buck each! Our food is lovingly hand-crafted with intentions for your good health using non-GMO, organic and/or local ingredients. Our packaging and potato cutlery is 100% biodegradable. Mixed Greens Salad with Your Choice of Dressing – Crisp Baby Greens and Red Leaf Lettuce with Cucumber, Tomato and Red Onion with your choice of dressing, either our Green Detroit Ranch or Lemon Garlic Vinaigrette. Is Detroit a veggie-friendly area? How does Detroit compare to other cities when it comes to leafy greens? Mmm… leafy greens… Well there are two important potential answers to that question. First, Detroit has some of the best leafy greens we’ve ever had. Detroit offers incredible varieties of Kale, Collards, Mustard and I could go on. Detroit’s being heralded as the model city for sustainable urban living and that’s primarily due to the incredible people who labor in the urban agriculture movement. Studies are being done to determine if Detroit, utilizing its vacant land, could be one of the only major cities in the US that could actually farm and feed itself. So in that sense Detroit’s way up there. We adore Fall and right now we are eating a great deal of locally grown squash. Here’s one of our fave squash recipes, enjoy! This recipe was inspired by the Millennium Restaurant’s cookbook – The Artful Vegan. Their butternut squash recipe caught my eye and before I even really read the thing I started peeling, chopping, and boiling some squash I had. Then I read the recipe … it called for raw shredded squash. Oops. So I decided to venture off on my own from there and this is what came out! I served these cakes over a sauté I did with brussel sprouts halved and thinly sliced, sliced baby portabella mushrooms, and thinly sliced onions, drizzled with just a dab of olive oil and seasoned with sea salt and black pepper … oh, and a minced garlic clove because how can I make anything without garlic? It’s just not natural. Cook the rice ahead of time and chill in the fridge until ready to use. It’s ideal to do this the day before or to use left over rice – it’s ok if it’s seasoned already. Peel the butternut squash and slice in half. Scoop out seeds and save for roasting. Cut the squash into cubes and place in a medium pot with filtered water. Bring to a boil, turn heat down to medium and cook until tender but not mushy, about 8-10 minutes after it comes to a boil. Cool to room temperature. Once cooled, place the squash, rice, oats and remaining ingredients in a food processor and blend until combined. Form into small patties, and place on a parchment lined baking sheet. Heat oven to 350 degrees. Bake cakes for about 10-12 minutes on each side. Now you can freeze these for future use in an air-tight container, or prepare now by grilling them in a pan with just a little oil until golden brown on both sides. Serve each person two cakes with 2 tbs. remoulade sauce over a bed of the brussel sprout sauté described above. Blend all ingredients in a food processor, blender, or by hand and serve or store in an air-tight container in the fridge. You can also freeze this mixture! What’s one of your favorite veggie blogs to read? Angela and I both enjoy and are inspired by the Post Punk Kitchen Blog. We also just discovered Don’t Eat Off The Sidewalk and they host a weekly online Vegan Iron Chef Contest. It’s looks awesome. On Friday they post the ingredients to use and contestants create, photograph and post the recipe to their blog by Sunday eve to compete. I think that you’ll see some of Angela’s work up there in the near future.